Sexting has become part of everyday life. At least one person, and probably more, that you run into during the day has or will send a sext message. And it isn’t always to their marital partner. While precise statistics on the percentage of affairs Americans have is almost impossible to calculate given the surreptitious nature of adultery, estimates have it that between 30 to 60 percent of married people will indulge in an affair sometime during their marriage. During that time, discretion and confidentiality are the words of the hour. Sexting is a big part of any relationship in today’s world and affairs are no different. 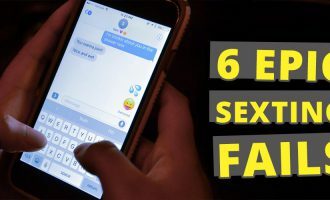 Although some people want to get caught in their affairs, or at least plan to make it less clandestine eventually, most want to keep the whole ordeal a secret from start to finish, including the sext messages. Fortunately, there are many different apps to make safe sexting possible. Here is a look at some of the best apps for safe sexting. 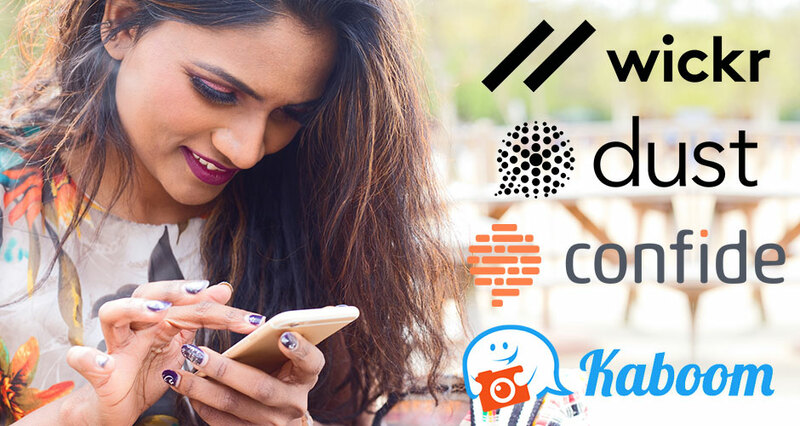 Confide is a great app for safe sexting because it employs end-to end encryption as well as ephemeral messages. It shining glory is the screenshot protection it offers it users. If anyone tries to screenshot one of your messages sent with the Confide app, they see only a blurry or grayed-out message leaving you perfectly safe sexting to whomever you choose. The app also alerts you that they attempted a screenshot and they are booted from the message. Other safe sexting advantages are that your name is never revealed, and messages are revealed in increments. Wickr is touted as one of the most reliable and widely used messaging apps available. It is used world-wide by not only sexters, but politicians, celebrities, and human rights activists. It employs end-to end encryption for all types of messages including pictures, video, SMS and group chats. The shredder function allows messages and all other related material to be irreversibly removed at your convenience. All messages are ephemeral but there is no screenshot protection. This app also supplies a variety of fun filters, stickers, and graffiti. This app is not strictly for sexting, but it has everything you would need to keep your messages a secret and even allows you to message whole groups from your address book with the same secrecy. Everything you send is turned to dust with the super safe sexting app Dust. Believe it or not, this app lets you delete your messages from other people’s phones. No message is permanently stored anywhere, not on a phone nor a server. Messages sent through this app are so heavily encrypted they are inaccessible by anyone, including their own staff. You are notified immediately if a screenshot is taken, but no worries, your name is never detectable. You choose whether your messages self-destruct immediately after being read or within 24 hours, so they are gone no matter what. Safe sexting apps (See full list) are available everywhere and more are being developed all the time. It isn’t necessary to ever be caught sending something to someone you should not be. Most of them all do the same thing, but if you take the time to do some research, you’ll find one that has everything you need to cover your tracks. Another thing to keep in mind is you may want to download some type of decoy app that hides your dating and sexting apps as something innocuous like a sports or gaming app. Good luck.